How about a 200w squonk setup for under 40 bucks? Sounds good to me! 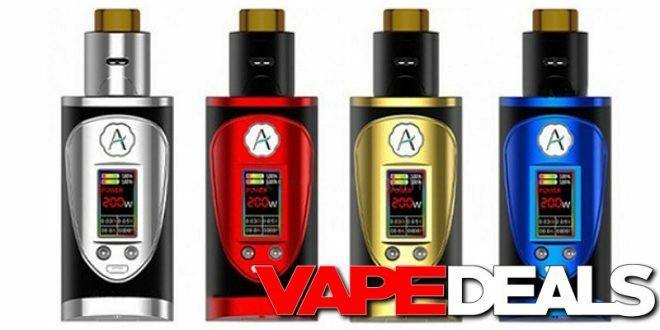 Efun is selling the Avidvape Throne Squonker Starter Kit for only $35.99 right now. I had a look around and the next lowest price I could find was $49 (some vendors are as high as $86!). Great deal for a dual-18650 squonker, a dual-coil RDA, and an extra bottle. Please note that this price applies to the blue and red colorways only (+$10 for gold or silver).